As there is a new Petition circulating right now about this very ingredient, I would like to share it here for those who may not have seen it on my other Blog yesterday, or read the original post about it. My Dear Readers, this will be short and sweet. A petition was just sent to me and not only did I sign and share it, I also wrote about it a few months ago on one of my other Blogs: What Do 7 UP, Micro Beads and Lithium All Have in Common? This petition lists many of the harmful and deleterious effects that these nasty little micro beads are having on our planet, especially our oceans and their fragile sea life. Won’t you please consider signing and sharing it as well? What Do 7 UP, Micro Beads and Lithium All Have in Common? Click on the picture to see the micro beads. Reading my email this morning suddenly became very disturbing. Several different sources reported things being in our everyday products, that truly do not belong there. First example: Lithium in 7 UP. Yes that 7 Up, the one I used to drink as a kid because it was always around when my mom worked there. What was most frightening, was the follow-up in the story. It seems that when Lithium is present in drinking water, the rates of suicides decline. Lithium apparently makes people happier, in safe levels that is, let’s not go nuts here. I had heard the rumors for years about Coke and Cocaine, but had never heard about this until this morning. Yikes, is there nothing that has not been altered? Lithium was commonly used in the Rehab Center where I was a Nurse in California in the treatment of several conditions. But, how safe was it to put in a drink consumed by millions, including children and pregnant women, without their knowledge? Not really sure, but am glad they have stopped? Next shall we talk about your toothpaste? On the News this week was a story about tiny micro balls or beads now in some in toothpastes, being found in the gums of patients by Dental Hygientists and they are not happy about it. They are causing numerous problems, like gum disease and infections. These things are not biodegradable and stick around practically forever, it seems. Not just in our bodies, but in our Environment as well. Water supplies and aquatic life are the primary concern. The beads have already been banned in Illinois. Bans are already in place, or are pending, to keep our water safe from them. New York will be next. This is all not good! If like me, you are a label reader for self-protection, in the case of toothpaste, this won’t work. These sneaky Companies put the ingredients on the BOX, which of course we all throw away and not on the actual tube. Now the whole world knows about all of this and the Companies are bragging that it will be fixed by March of 2016. For many years I used AIM because I liked the gel better than a yucky white paste. But about 10 years ago I switched to Colgate for some reason, think because I had trouble finding AIM. 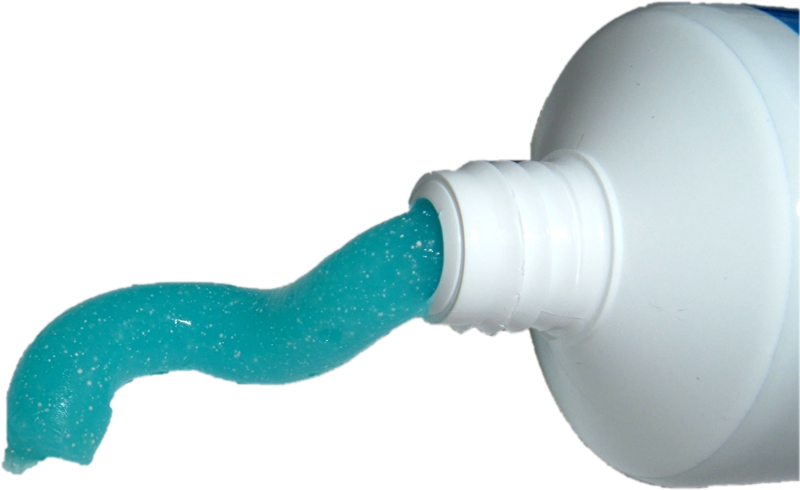 Then, about a year ago I saw a story on the News about an ingredient Sorbitol, that I preferred not to have in my toothpaste and went looking once again for AIM. I found it and switched back. Remember, the true ingredients are on the BOX. Today I will be taking a very close look at it to see if the little plastic balls are in it? Oh and by the way, these same little balls are probably also in your favorite face wash and who knows what else. We should all start looking at all of our products a lot closer. As a consumer, I have a question? Do we have any say in anything anymore? These Mega Corporations are doing these things without our knowledge or consent. Their decisions affect our lives and our Environment. And the only way that we, the paying consumers, ever find out about these deceitful practices and often harmful additives, are when a whistleblower, or savvy investigative writer does a story which is then passed on to the unknowing, innocent dupes. That would be you and me. So, now you know what 7 UP, Micro Beads and Lithium all have in common! Always low prices, but at what cost? Has the King Left the Building?